I just don’t photograph at feeders and bird houses, almost never. 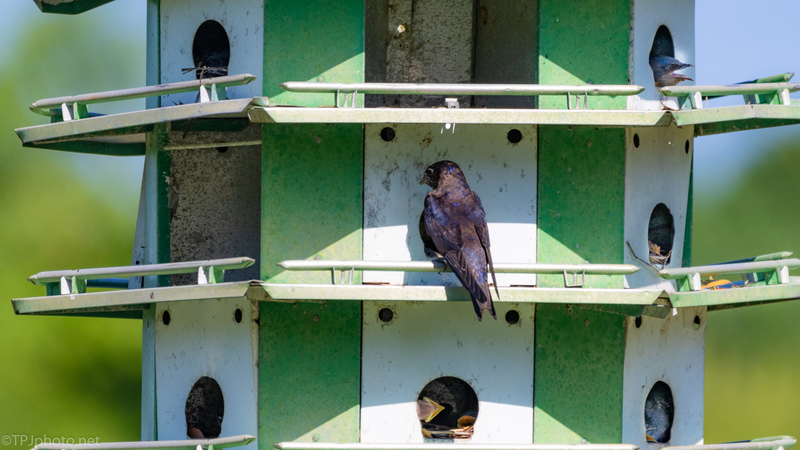 I also don’t think I had ever been up close to a Purple Martin ‘condo’. Like Swallows they fly and grab insects mid air. The house here was on a pole outside a ranger office at a WMA. I watched the birds, many of them, come and go quickly. These tall houses, sitting on high poles, are common if you have land and plenty of room. The reason for these images, I looked with a long lens. Every ‘apartment’ had open mouths begging for food. To view the gallery click, or double tap, any image.